Acclaimed by Ebony magazine as "one of those rare publishing events that generate as much excitement in the cloistered confines of the academy as they do in the general public," The Papers of Martin Luther King, Jr. chronicles one of the twentieth century's most dynamic personalities and one of the nation's greatest social struggles. 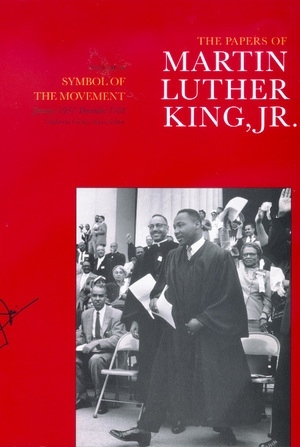 King's call for racial justice and his faith in the power of nonviolence to engender a major transformation of American society is movingly conveyed in this authoritative multivolume series. In Volume IV, with the Montgomery bus boycott at an end, King confronts the sudden demands of celebrity while trying to identify the next steps in the burgeoning struggle for equality. Anxious to duplicate the success of the boycott, he spends much of 1957 and 1958 establishing the Southern Christian Leadership Conference. But advancing the movement in the face of dogged resistance, he finds that it is easier to inspire supporters with his potent oratory than to organize a mass movement for social change. Yet King remains committed: "The vast possibilities of a nonviolent, non-cooperative approach to the solution of the race problem are still challenging indeed. I would like to remain a part of the unfolding development of this approach for a few more years." King's budding international prestige is affirmed in March 1957, when he attends the independence ceremonies in Ghana, West Africa. Two months later his first national address, at the "Prayer Pilgrimage for Freedom," is widely praised, and in June 1958, King's increasing prominence is recognized with a long-overdue White House meeting. During this period King also cultivates alliances with the labor and pacifist movements, and international anticolonial organizations. As Volume IV closes, King is enjoying the acclaim that has greeted his first book, Stride Toward Freedom, only to suffer a near-fatal stabbing in New York City. Clayborne Carson is Director and Senior Editor of the Martin Luther King, Jr. Papers Project. A history professor at Stanford University, he is the author of In Struggle: SNCC and the Black Awakening of the 1960s (1981) and editor of Knock at Midnight: Inspiration from the Great Sermons of Reverend Martin Luther King, Jr. (1998) and Malcolm X: The FBI File (1991). Susan Carson, managing editor, holds an M.L.S. from San Jose State University. She joined the Martin Luther King, Jr., Papers Project in 1987 as the librarian and archivist. Adrienne Clay, assistant editor, is a graduate of Colby College. A participant in the 1996 King Summer Research Fellowship program, Adrienne joined the staff of the Project in 1997. Kieran Taylor, assistant editor, earned an M.A. in southern studies from the University of Mississippi. He worked as a reporter and community organizer before joining the Project in 1997. Virginia Shadron earned a Ph.D. in American studies from Emory University.